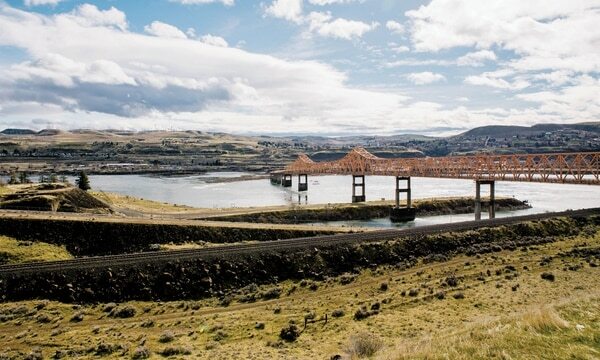 The arrival of cryptocurrency miners in The Dalles offers a strange opportunity for the state—and a big environmental threat. This is Terrence Thurber's cryptocurrency mine. 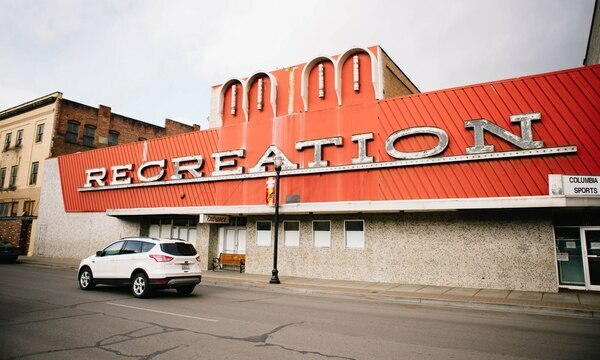 Thurber, a boyish, 33-year-old college dropout with a pompadour of blond hair, a perpetual five o' clock shadow and a gambling habit that sent him jetting off to Vegas this week, moved to The Dalles from Costa Rica three years ago. He once hawked diet pills online. Now, he is mining for Bitcoins. "This is the future," Thurber says. "The sooner people get on board, the better off they'll be. It's a 'shoulda, coulda, woulda' situation." All told, there is more than $168 billion in Bitcoins around the globe, and it's just one of hundreds of cryptocurrencies. Bitcoin is being used to buy cars and houses, and book first-class flights (as well as for darker purchases, like opioids and guns). Thurber's mine constantly draws three megawatts of power per hour. That's enough electricity to power a town the size of Sisters. And Thurber says his 15-employee company, called OregonMines, is now the third-largest consumer of electricity in The Dalles. His monthly power bill is $75,000. 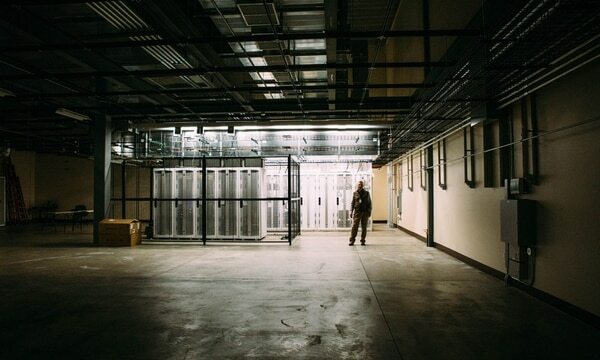 While Thurber's OregonMines is the only industrial-sized cryptocurrency mining operation in The Dalles, and one of fewer than a dozen in Oregon, more are coming. 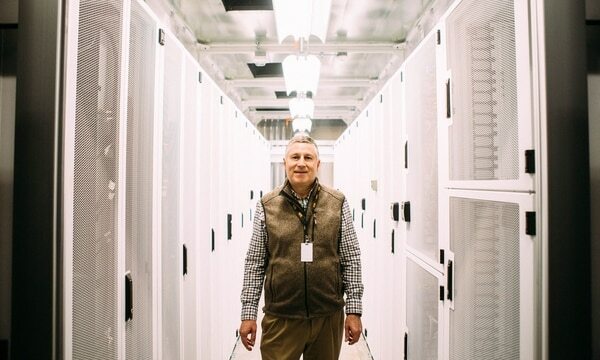 "We may well become the center of cryptomining in the world," says Robert McCullough, an energy consultant who once set power rates at Portland General Electric. "We may find our burgeoning surplus of energy will make us quite a capital for useless servers solving useless puzzles. It's not as if we have a huge amount of employment attached. 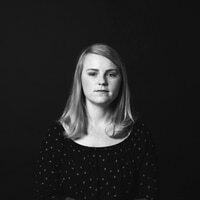 It's not as if you're going to have a big staff and a lot of smart people working on it." 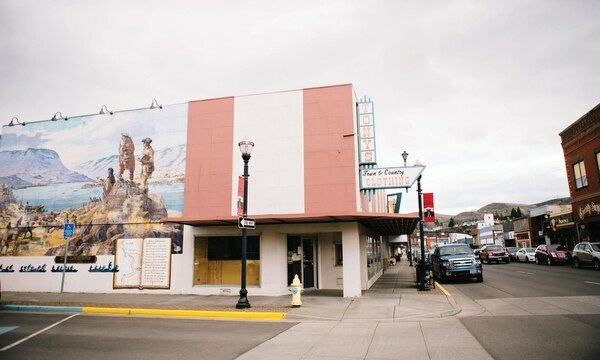 The Bitcoin boom poses a challenge to small towns like The Dalles. Electricity here may be cheap, but it isn't endless. Dams kill endangered salmon. And the more hydropower is used by Bitcoin miners, the more the rest of the state must rely on electricity generated by fossil fuels, including coal. "I wouldn't blame a [utility] for being skeptical," Thurber says. "Cryptocurrency would gobble up as much power as it could, if we didn't have a bunch of measures in place that are holding us back." He and his father, Tom Thurber—his business partner—won't discuss their revenue. Terrence Thurber says he has mined thousands of Bitcoins but won't disclose an exact figure. What is clear is that Terrence Thurber is a gambler. It was 2012, and Thurber was working for a company that created web ads for diet pills. His 67-year-old father and business partner, Tom, says Thurber was always impatient and eager for risk—qualities that fueled his gambling hobby and his business ventures. "His games are poker and blackjack, which are, as you probably know, the two games of some skill," Tom Thurber says. "I think that's what attracts him." One day, a Bitcoin ad that popped up on his computer caught his attention. He decided to poke around. He bought and traded a few coins, each worth just dollars at the time. "I had 10-timesed my money by the end of the night," he claims. "At that point, I had effectively taken the red pill. Any caution, any heed was just out the window." But creating Bitcoin wasn't as easy as trading it. He began by going on a shopping spree. "I went online and found every piece of that hardware that I could and I bought it," he says, "until I couldn't find any more hardware." Thurber bought four ready-made specialized computers—and when he couldn't find more, he started buying the chips he needed to build his own. He first plugged the machines into a space he shared with a Chinese car-part manufacturer in the Shenzhen province of China. After two months, he moved the computers to a designated cryptomine further inland. For eight months, his computers hummed in China while he enjoyed Costa Rica. But the restrictions of renting space in someone else's warehouse, in another country with increasing internet regulations, began to weigh on Thurber. Thurber is no exception. "It's hard to put a quantity value on freedom," he says. "Cryptocurrencies will liberate your personal money flow." Inside the headquarters of OregonMines, it sounds like riding in a convertible flying down the freeway. That's the sound of 2,750 computer fans spinning ceaselessly to keep the machines cool. Four-foot-high industrial fans whir even louder to keep fresh air flowing over the equipment. "This location is really special," he says. "It's close to a major metro. 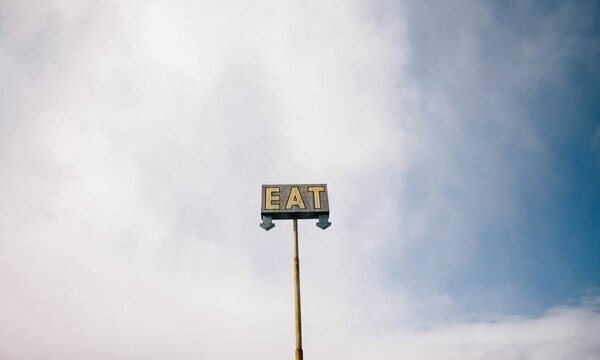 It's got good weather patterns. When it's hot, it's dry, which is good for our cooling systems. And, of course, the power is reasonable out here." Thurber says he was looking for affordable, reliable power—which meant setting up shop somewhere that wasn't already inundated with Bitcoin mines. 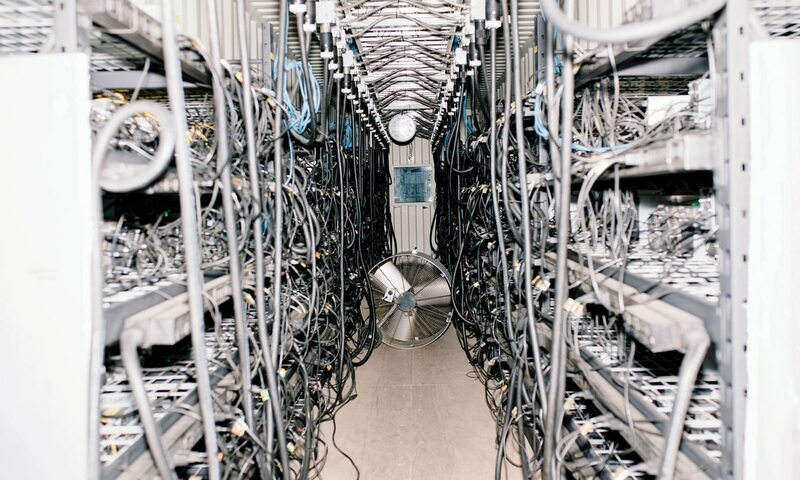 Experts estimate tens of thousands of Bitcoin mines are operating worldwide, but no one knows for sure. "The Dalles was not exactly popping with activity when I got there," Thurber says. "My jobs are all new jobs with new money that's come in." Most people in The Dalles don't know a wave of cryptocurrency is headed toward them. That includes city leaders. "I'm not familiar with the issue," Mayor Stephen Lawrence tells WW. The one exception: city councilor Taner Elliott, who also happens to be the electrician who installed the wiring at OregonMines. While he was glad to have the work, he is concerned about the stability of the cryptocurrency business. "I just worry about the longevity of Bitcoin mining and whether or not it's going to be something that's sustainable," Elliott says. "You hear all the rumors about what the price is doing. I worry that it's a fad more than anything." 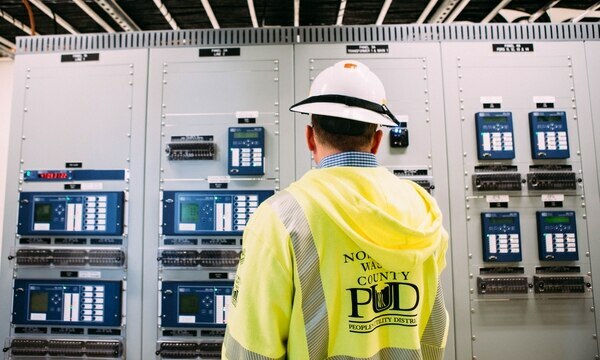 The man in The Dalles who gets to decide if he'll dole out power to miners is Paul Titus, lead engineer at the Northern Wasco County People's Utility District. For years, Thurber's OregonMines was the only cryptocurrency mine Titus had approved—because it was the only application he had received. Last November, that changed. The value of Bitcoin spiked to more than $20,000—and Titus started getting a new inquiry every week from prospective miners. "It was constant," he recalls. Most of them, he says, had inquired first in Washington's Chelan, Douglas and Grant counties—and were told those grids had no vacancy. 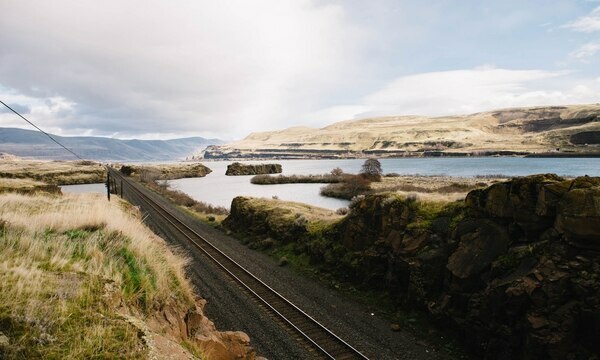 In 2017, nearly 200 miners applied for access to electricity in those rural counties in Washington state—just across the river from The Dalles. 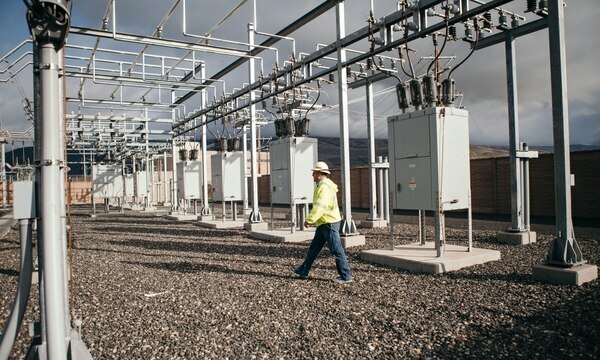 As Washington's power grids fill to capacity, miners are moving on to rural Oregon. The Wasco PUD now has 12 inquiries on file—with the largest of those miners asking for an amount of electricity each month that could otherwise light up 700 high schools. "They are going to the least-cost provider first," Titus says, "and then working their way down the list." "Unless you are monitoring the issue," he says, "they could unexpectedly use the existing capacity." "At some point, you're no longer able to give stable power to the customer base who came there for the stable and cheap power," Thurber says. 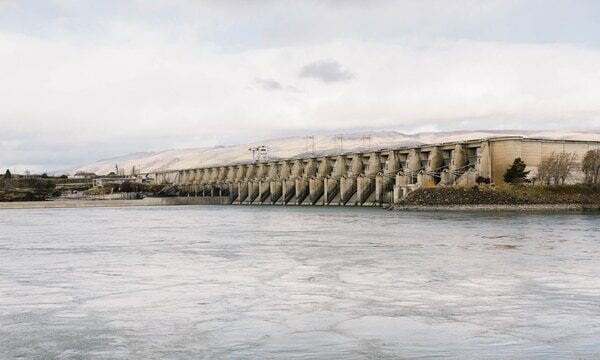 "It's not like there's a bunch of hydro megawatts sitting out there unused right now," says Brett VandenHeuvel, executive director of Columbia Riverkeeper, an environmental group. "We're already using all of it. If one company comes in and uses hydropower, that load is being replaced by some other generation somewhere else." "We're at a real fork in the road here where if we continue business as usual with the hydropower system, salmon will go extinct," Columbia Riverkeeper's VandenHeuvel says. Some runs of salmon could die off completely within the next 30 years, he adds. And all of this leads to a more philosophical question. We know what Oregon can do for Bitcoin. 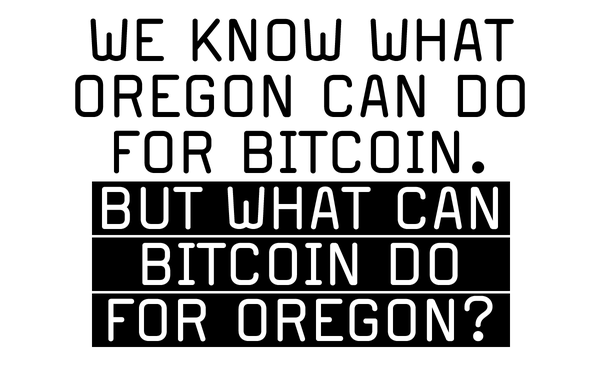 But what can Bitcoin do for Oregon? And what happens when the coin rush is over? One hundred thirty miles south of The Dalles, in Bend, Jeffrey Henry says he's found an answer. "When the zombies attack, they won't be able to get over the mountains," Henry says. He's kidding: His real concern is earthquakes and tsunamis that could knock out the power and internet connections. That's good for the cryptominers stacked in Henry's sophisticated data halls: The computers will never stop, giving them an edge in the race to find the remaining Bitcoins before time runs out. 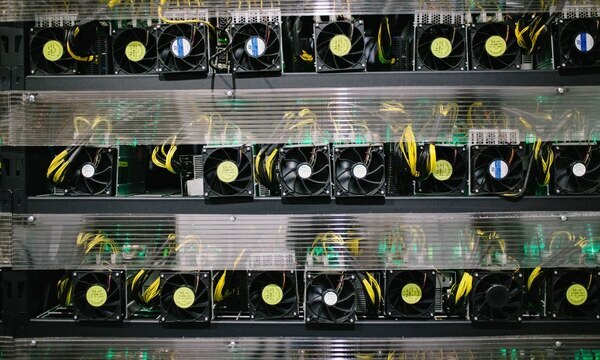 "Some of these cryptocurrency miners just bought old warehouses—that's what we'd call a 'retrofit,'" he says. But his center is different. "Literally the whole world outside could shut down, and we could keep running for four days like nothing happened. That's what's important for state and local governments and companies." Oregon's economic history is filled with examples of the exploitation of natural resources: fish, timber and, more recently, cheap hydropower. For years, aluminum companies lined the Columbia. 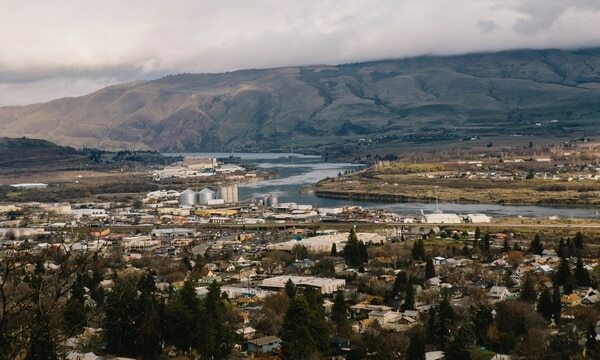 In more recent decades, tech companies have settled in Oregon for cheap land and, more importantly, cheap electricity—see Washington County's chip plants and the server farms Google, Facebook, Apple and others have plunked down along the Columbia. But the latest industry to exploit Oregon's cheap electricity isn't producing jobs or economic growth on a similar scale. McCullough, the energy consultant, calls Bitcoin his "favorite scam." 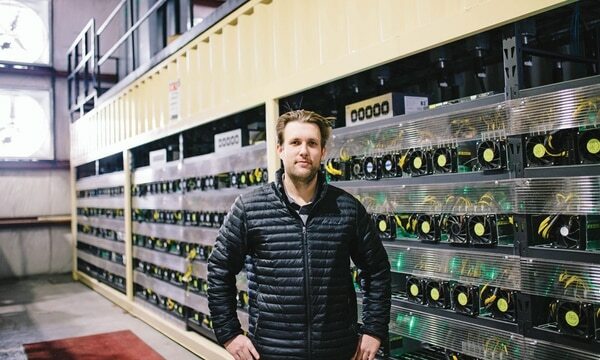 He says cryptocurrency mines offer little benefit to Oregon in exchange for power use. "It will get bigger as our [energy] prices continue to decline—until it all crashes," he says. 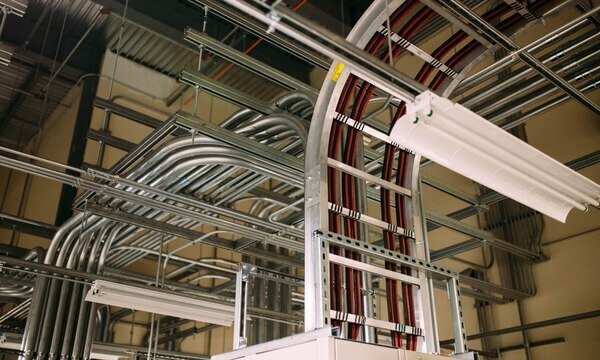 "Building a server farm uses the same equipment and the same electricity, but produces something of use to society." Thurber says that's far too glum a prediction. Once people get used to the idea of Bitcoin, he says, they will start to see its advantages. One day, the digital currency may feel as intuitive and natural as the internet itself. "To some degree it might be a battle for minds first," he says. "And then it becomes a battle for hearts." WTF is Bitcoin? Here's how it works, and how it could change the world. The workings of Bitcoin remain mysterious to most outsiders, replete with jargon and confusing concepts. (We made a glossary. It's on page 19.) But like all currencies, it depends on some standard to assure users that the money has value. The U.S. dollar relies on the authority of the Treasury Department. Bitcoin and other cryptocurrencies instead rely on complex mathematical equations. There are a finite number of Bitcoins, and every time a new one is mined, bought or sold, that information is recorded using a digital ledger called the "blockchain." It's as if every dollar bill had a chip inside it that could tell you each time it changed hands. New information gets added to the blockchain by computers "mining" for Bitcoin and other cryptocurrencies. They solve a complicated math problem to validate that each Bitcoin trade really happened. So these computers, like the ones at OregonMines, are in a race. They're competing against other machines spread all over the world, in pockets of the Midwest, Puerto Rico, Iceland and China. "In the early days, you could actually mine it using your home computer," Frank Nagle, a University of Southern California professor who studies economics, said in a Council on Foreign Relations podcast. "But today the problems have gotten so hard and so complex that if you tried to use a regular laptop or desktop, you probably wouldn't have a chance." "So people are designing super-powerful computers that are purely used for helping to solve these problems in hopes of finding the next Bitcoin," Nagle says, "and if you do so, then immediately you are $10,000 richer." In fact, the puzzles have become so complicated and there is so much competition to be first to find the answers, that miners are now teaming up in "pools" of super-powered computers that all work together to find a new block. The miners split the profits among the members of the pool. 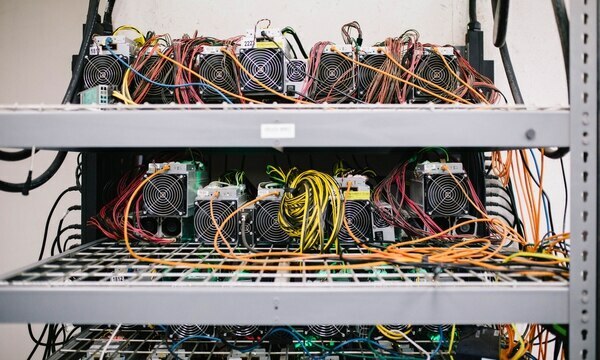 "There's a lot of predictions," says Leif Shackelford, who mines Bitcoin and Ether in his Portland basement and has begun selling cryptomining equipment to others. He believes in the blockchain technology, but has doubts whether it will succeed as a currency. "I think the biggest potential for good that any of this could bring," he says, "is in finding a path to people owning and being responsible for their own data." But that only works if people trust the tech. "We should probably wonder why these things are framed so negatively from the get-go," Thurber says. "The internet was not well-received in the '90s. It was going to ruin your kids. It was going to turn them into zombies. Fast forward 20 years, everyone and their mother can't help but use the internet every part of the day, no matter where they turn, and most of them love it." Still confused? Here's a glossary of terms. Bitcoin: The first and best known cryptocurrency, created with what has become known as "blockchain" technology. blockchain: This technology creates the method by which you can create and transfer currency around the world without banks or governments, in a legal manner that is also secure and highly decentralized. It's often called a publicly shared digital ledger. Think of it as a kind of digital quilt, in which each new block is like a fabric square, embroidered with the receipt of Bitcoin transactions and sewn into an ever-growing blanket. Literally speaking, a block is a record stating the location and amount of cryptocurrency. Once a block is completed, it's added to the chain of other records, creating a blockchain. pools: Groups of miners who combine their resources to unlock new blocks and share the profits. AntMiner: The product name of a popular Bitcoin mining computer built by hardware company Bitmain. 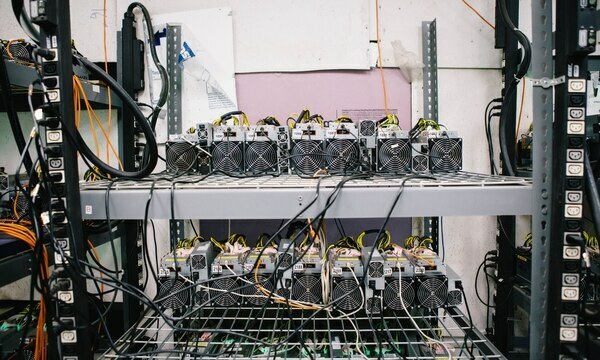 All the specialized computers used to mine Bitcoin are often called AntMiners—even if they aren't really made by that company.